Hmmm I wonder why I am posting photos from inside carparks these few days. 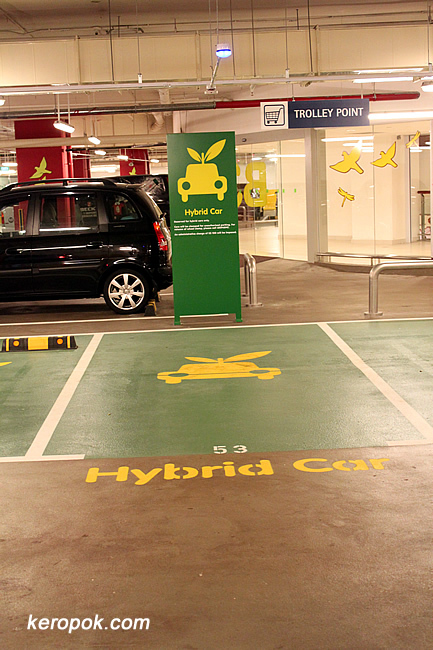 One shopping mall in Singapore has special lots for hybrid cars. They also have charging stations for electric cars. Wow. Where is this place?